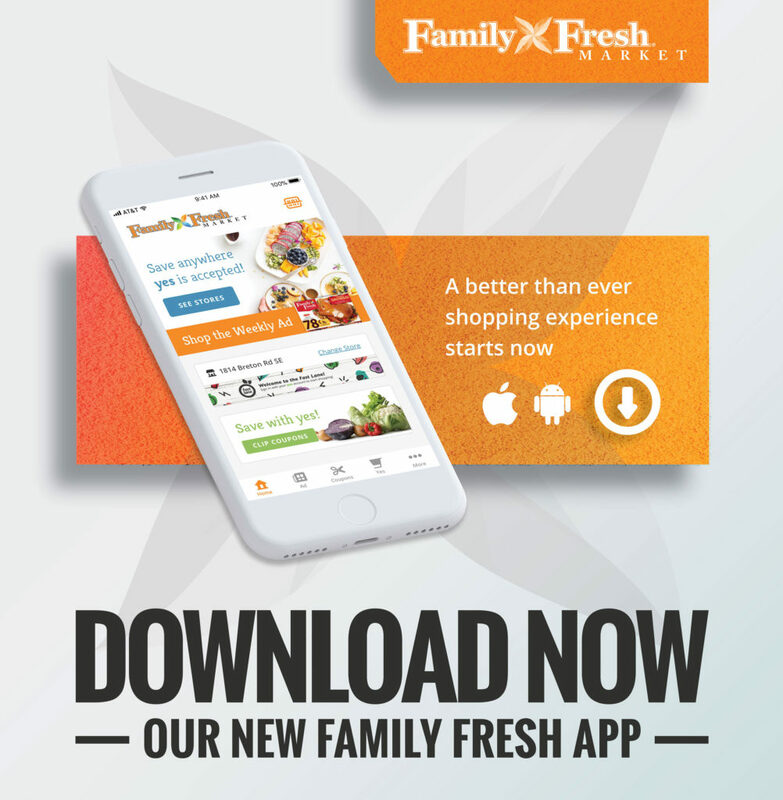 GRAND RAPIDS, Mich. – In its quest to continually provide a better shopping experience both in-store and online, SpartanNash today announced new banner apps for Family Fare Supermarkets, D&W Fresh Market, VG’s Grocery, Family Fresh Market and Forest Hills Foods store guests. The mobile apps make shopping at participating banners more convenient, allowing store guests to view weekly ads, clip coupons, join yes clubs and track rewards – all in one place. The banner-specific apps allow customers to shop the Fast Lane from their mobile devices, making it even easier to use the personalized, online grocery shopping experience to place curbside pickup or at-home delivery orders. Since launching Fast Lane in July 2017, the curbside pickup program has quickly expanded and is now available in 40 locations across Michigan and South Dakota. Family Fare Supermarkets, D&W Fresh Market, VG’s Grocery, Family Fresh Market and Forest Hills Foods customers can also manage their yes account, join clubs – which change often and encourage store guests to save money on the purchases they make most – earn rewards and track their progress toward additional savings, all from the convenience of their phones. The apps allow customers to clip digital coupons as they shop, and can be sorted by a variety of categories and personalized based on their preferences and buying habits. yes is available at Family Fare Supermarkets, Family Fresh Market, D&W Fresh Market and VG’s locations in Iowa, Michigan, Minnesota, Nebraska, North Dakota, South Dakota and Wisconsin, giving customers the power to say “yes” to savings throughout the store. Apps for each of the five store banners are now available for iPhone and Android users to download.